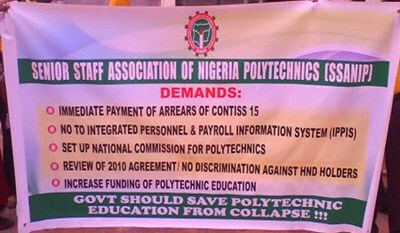 The Academic Staff Union of Polytechnics (ASUP) has declared a fresh nationwide strike. National Publicity Secretary, Comrade Clement Chirman, who disclosed this in Jos, added that the decision to resume the strike that was earlier suspended was reached after the union's NEC meeting in Abuja. ASUU had been on strike for some months now. This has crippled the university system and the flow of learning. Now ASUP to join in the action. However, the next could be Colleges of Education Academic Staff Union (COEASU), having given the Federal Government sixty days ultimatum to meet its demand too.